We dispatch promotional and transactional SMS for our clients. However, we do not dispatch message to the numbers subscribed for DND. We strictly adhere to this rule. We execute push based campaigns and even pull based campaigns which we deploy via short codes/long codes and designated keywords or via QR codes. Through pull based the potential customers can reach us instantly who can then be managed through the dashboard/backend. Opened In The First 3 or 4 Minutes! SMS messages are delivered directly to the pocket/inbox of potential customers. According to statistics, 97% of the SMS messages being sent out on behalf of the clients are being consumed by the potential customers in the very first 3 or 4 minutes of it being delivered. As per reports by Deloitte, more than one-third of the customers check their mobile devices within the first five minutes of waking up and individuals usually check their mobile devices more than 50 times a day, on an average. 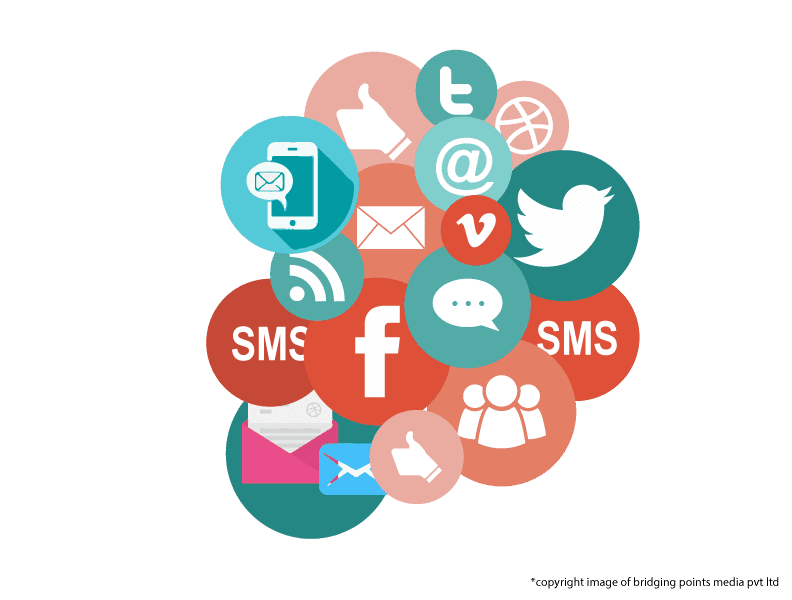 SMS marketing also has one of the highest CTR (click through rate) and low CPS (cost per SMS send) which makes it one of the most effective media for marketers to push offers and promotions to customers. Bulk SMS helps us to reach out to millions of new and existing customers within seconds. We can quickly schedule and send messages with a personalized touch to the client’s potential customers. We can also attach files in the SMS and send PDFs, word documents, spreadsheets, etc. We maintain clean databases of numbers. We regularly check and delete the numbers that can’t be reached to save time and money. Three strikes and the number is out – that’s our principle. Tracking is also accessible for our SMS campaigns and we keep a tab on the count of people who have read the message, clicked on the link, etc. Incorporating S.M.A.R.T i.e. Specific, Measurable, Achievable, Relevant and Time Specific will guarantee Online SMS Marketing Campaign is executed in a way that meets our objective. SMS Marketing is ‘The Marketing Medium’ to instantly catch the attention of the potential customers. We offer customized mobile solutions through text including LBS(Location Based SMS), USSD and Voice. 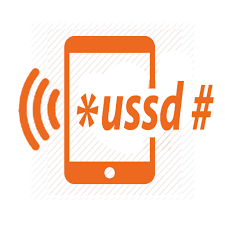 USSD (Unstructured Supplementary Service Data) is a Global System for Mobile(GSM) communication technology that is used to send a text message between a mobile phone and an application program in the network. USSD also referred to as ‘Quick Codes’ or ‘Feature codes’ is a communications protocol used by GSM cellular telephones to communicate with the mobile network operator’s computers. USSD is used by clients to interact with customers or potential customers and Bridging Points Media helps it clients do this on the audience base identified by them. Missed Call advertisements and promotions by missed call are getting popular worldwide. The below image depicts how these missed call advertisements work. Outbound Call is one initiated by a Bridging Points Media’s call center agent to a customer on behalf of the client. The below depicts how this process works. 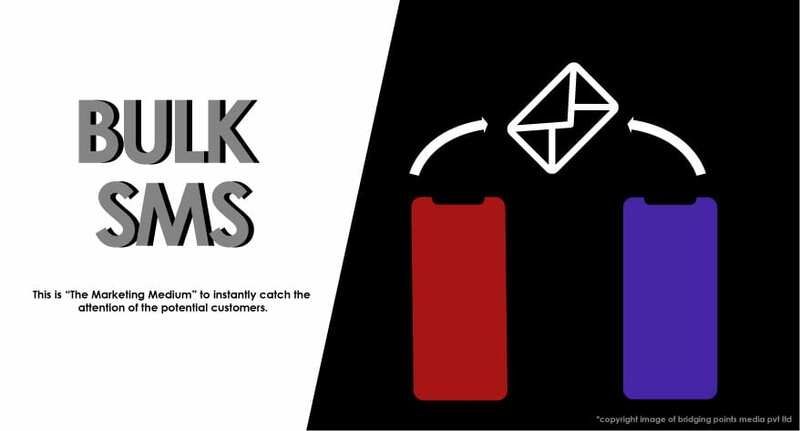 IVR (Interactive Voice Response) is becoming increasingly important in acquiring new customers and in servicing existing customers across business sectors and Bridging Points Media delivers IVR solutions on the target audience of it’s clients. Footer Messages are text messages of a few characters (maximum 40 to 60 characters) below the main text message and are cost effective. Blue Casting is a proximity marketing tool which enables brands to deliver content and applications to Blue tooth enabled mobile phones. Though application and mobile web penetration is growing rapidly, SMS still rules the day from a reach perspective. Cost-wise, SMS campaigns are typically charged on a per-message basis with a pricing table that decreases with volume. SMS is ideal for location based marketing. The location-based service opt-in requirement fits perfectly with existing SMS opt-in requirements. The Mobile Marketing Association guidelines are very clear when it comes to SMS marketing. Customers must elect to receive SMS messages via an opt-in and be able to cancel at any time. Bridging Points Media facilitates robust Bulk SMS Broadcast Service. SMS (Short Messaging Service) to MMS (Multimedia Messaging Service), Bridging Points Media facilitates all. In MMS Marketing, apart from a plain text message clients can include audio, video, colour and animation. Regular text messages are limited to 160 characters whereas multimedia messages allow for almost unlimited text characters and a much greater allowance when it comes to size. MMS messages have a strong potential to go viral. Location Based SMS (LBS) is all about delivering the right message to the right people in the perfect place and at the perfect time for the micro-moment. LBS comes into play to target the mobile users within a certain geographic area to increase effectiveness and reduce SMS waste. This geographic area is called a ‘geofence’ and SMSes are served only within that area. Once the pin codes are determined and the radius around those pin codes are determined – location based SMS can be easily sent. Geo-Fencing is a fence defining parameter around a certain geographic point. When geo-fencing is deployed it activates triggers when customers or their smart devices enter this boundary or fenced area. Geo-Conquesting is the use of a geo-fence to draw customers away from competition. This means that instead of geo-fencing around one’s own store the business geo-fences around a competition store and uses it to drag potential customers to its own store. The more targeted an ad campaign is, the more effective it will be – location based marketing is therefore very effective. SMS marketing is the most personal and direct form of communication to reach out to the customers.